Cushion included as shown in price! 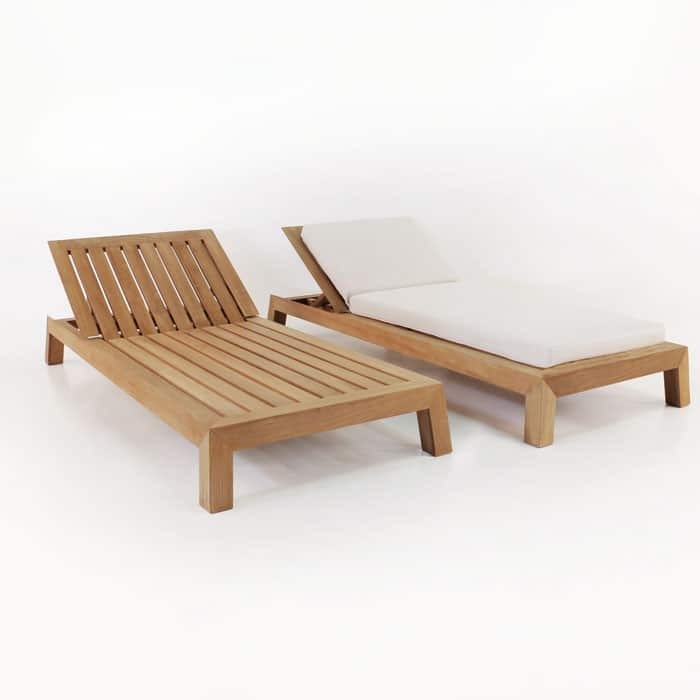 Uncluttered, simple and extremely handsome, say ‘Hi!’ to the Contempo Teak Sunbed. 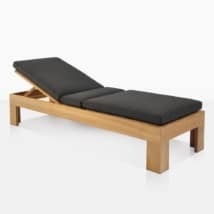 Our newest contemporary sunbed is making an impact both in store and in our clients homes! 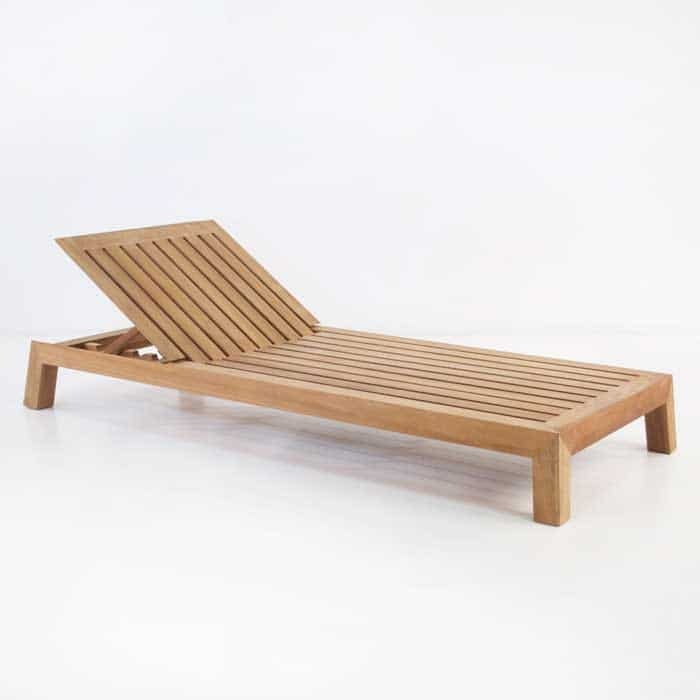 A superb, modern design means that the Contempo Teak Sunbed is in a league of its own. 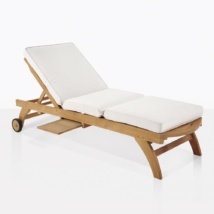 W34" x L79" x H13"
The resort style Teak Chaise Lounge You’ve been wishing for! Contempo is low to the ground wider than a normal bed with a clean break for the back lift. 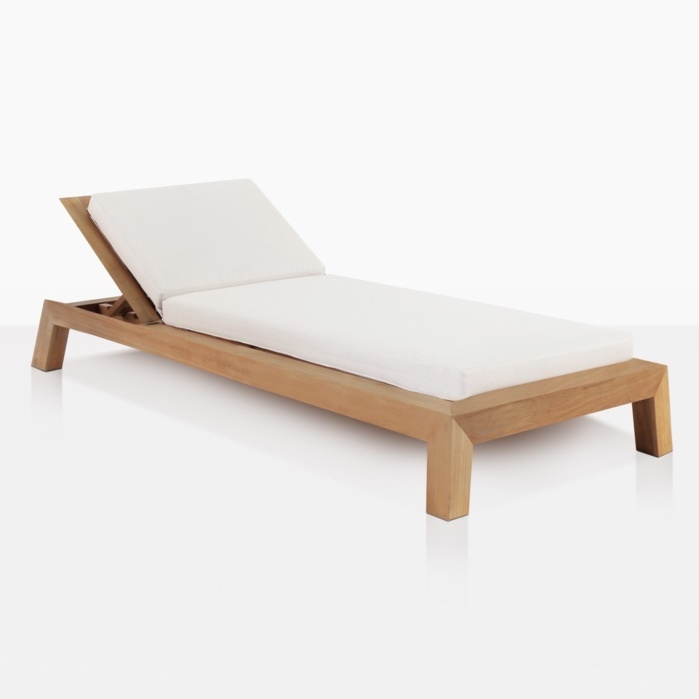 The style of the legs is unique with the slight angle giving a special design line to the whole piece, while the tightly placed planks run vertically down the bed giving a satisfying deck effect! 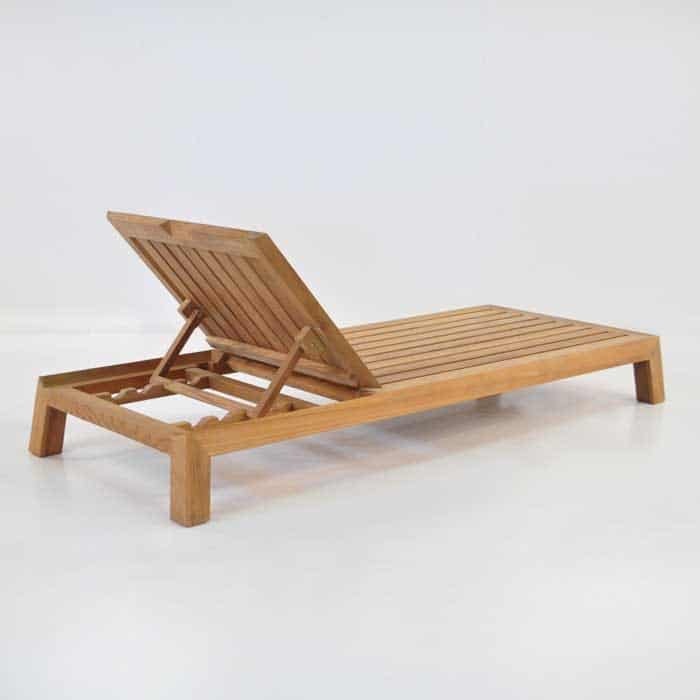 Whether you have several of the Contempo Teak Chaise Lounges lined up in a resort style setup or a singular piece; these lounges make an extraordinary impact while doing exactly what it is intended to do: creating a space for you to relax and enjoy the simple things in life! Imagine a dramatic, sleek, modern space with dark hues and angular lines… in this stylish bliss, there needs to be room to relax, unwind away from the busyness of our everyday lives. 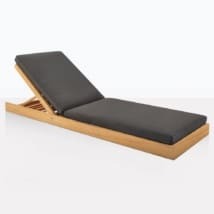 Place a Contempo Teak Chaise Lounge on either side of your outdoor space, each with a 7.5ft Sunbrella® Umbrella in sharp black, or crisp canvas, and polish the look with a small side table keeping with the theme of your home. If you have a lot of concrete in your home, try a Raw Concrete Square Stool – modern, chic and heavy-duty you will be thrilled with this dramatic, yet simple look. 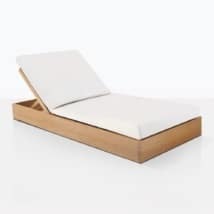 If you have a rectangular swimming pool, then place two or three of the Contempo Teak Chaise Lounge side by side, each dressed with a couple of throw cushions, highlighting the area. Keep cool, away from the hot sun when you need it with a rectangular Ascot Cantilever Umbrella, available in simple, elegant shades of Taupe, Canvas, Gray and Black! 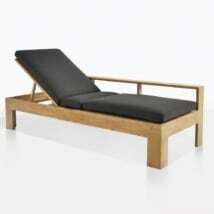 The Contempo Teak Chaise Lounge is constructed from the best of the best of outdoor materials. 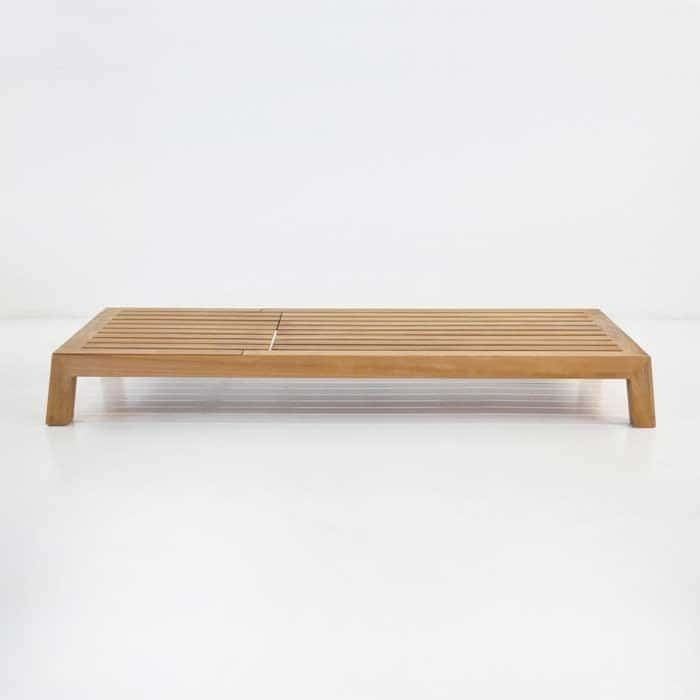 Starting with A-Grade Teak, a product that unifies critics in their praise of this long lasting, durable, strong and beautiful wood. With high levels of natural rubber and oil content, you can be assured that your furniture will stand the test of time!